When your little ones are too small to describe what hurts… it’s so hard for mommy! 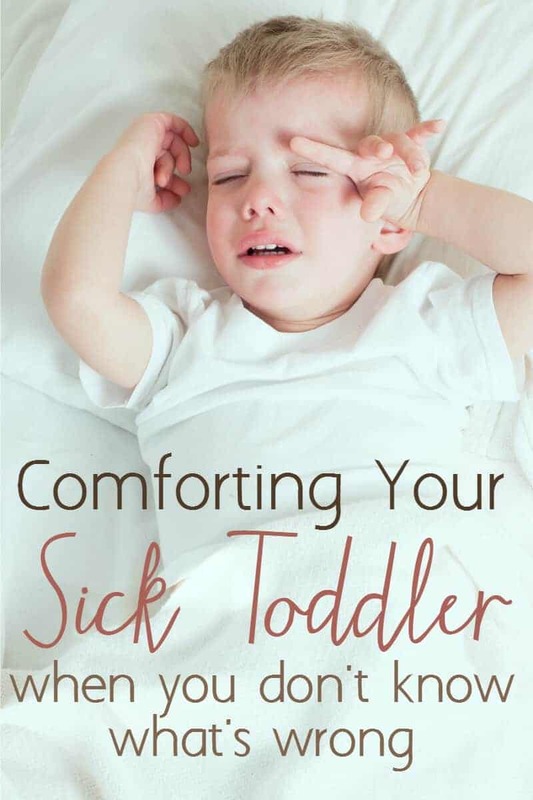 Here are the ways that I bring comfort to my little ones when I’m not exactly sure what ails them. This is a sponsored post written by me on behalf of Nauzene Kids. All opinions are 100% mine. I say this to my husband like pretty much once a week. Occasionally I’ll get a clue like, “my neck hurts, mommy” which I realize means a sore throat. Or one tugging their ear and crying. That’s a good indicator of an ear ache. But usually, we know they feel bad, but we don’t know why. Cold, flu, virus, tummy ache, ear ache, headache, nausea, dizziness… unless they can tell us we are left guessing. And our sweet toddlers are often limited by vocabulary or simply can’t localize what is causing them discomfort. I mean, where do you point and say “sore” if you are nauseous? Here are the ways I try to counteract this. Viruses are my arch enemy, and my children do not weather winter well. With winter comes colds, viruses, “stomach flus” and so much more. While I haven’t figured out what I do wrong – or don’t do right – I am always improving in relieving their pain and bringing comfort. When our children are older it’s not such an issue. My 4-year-old will say, “Mommy, my tummy hurts.” And she’ll understand what I ask her no matter what words I use. However, my 2-year-old will not. 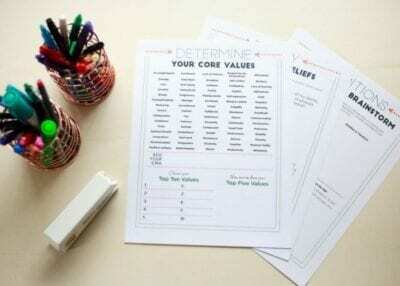 When my children are 1 years old and up, I’m careful to use one word for all aches and pains. Bottoms, tummies, teeth, and throats can be sore. When I see a tooth coming in, I’ll make a sympathetic face and say, “Oh no, is your toothie sore?” I want to tie discomfort to the word sore so it’s easier for them to communicate with me. Even if they are in the stage where they have few words, they will come out with “sore” at appropriate times. Instead of using, ache, sore, pain, hurt, feel bad, etc. just take one and stick with it for the tiny kiddos. It’ll pay off during the times when you aren’t sure if you’re dealing with a virus or tummy ache. If your doctor has said not to come in, but to watch the baby, treat the symptoms. Of course, medicine prefers to heal the root, but there is no medicine to stop a virus. Because you must wait until the body has produced enough antibodies to overpower the virus, the best thing you can do is bring the relief that will allow your child time to rest. For children who have the “stomach flu,” nausea, or an upset tummy, I recommend using a gentle product like Nauzene Kids to comfort them. It’s gentle, homeopathic, and aspirin free. While you can’t make the tummy bug go away, you can help them feel well enough to fall asleep. When mine have upset stomachs, they also find it hard to actually fall asleep so administering some before naps is a good idea. If you suspect sore throats, give them soothing drinks. Warm water, lemon, honey, and ginger are recommended to bring soothing relief, and drinking these before bed can help them feel better before naps or bed. I have a sixth sense for ear aches in our home. I’m telling you I can smell an ear ache a mile off. Figuratively speaking. 6 out of 7 nights during the week all four of our children sleep all night without waking. There’s the occasional leaky diaper or nightmare, but it’s usually quiet. When a child wakes during the night from a dead sleep with a scream – it takes no detective to know – it’s usually ear related. I actually purchased an otoscope because I’m paranoid like that, and it’s never let me down. I also watch for changes in, uh… diaper contents. Different colors, textures, or diaper rashes clue me in that something digestive is going on. This is when Nauzene Kids is a good idea because diarrhea is often accompanied by painful stomach or overall nausea. When I notice diaper rash, I’ll treat it topically then watch for other behaviors. Fussiness, increased irritability, difficulty sleeping often signal something vague a child can’t identify like a headache, sore throat, or upset stomach. If you have an only child, this is a given. If you have two or more, isolating your child for comfort is a great gift. By “isolate” I mean lovingly quarantine. I never used to do this, but the idea is more and more appealing to me as viruses and colds go from sibling to sibling. Additionally, when a child isn’t feeling well and is irritable, everything makes them more miserable and there is more screaming from everyone. Give them special toys they are usually required to share, make a fort or comfortable play area in their room, or put on a movie just for them. 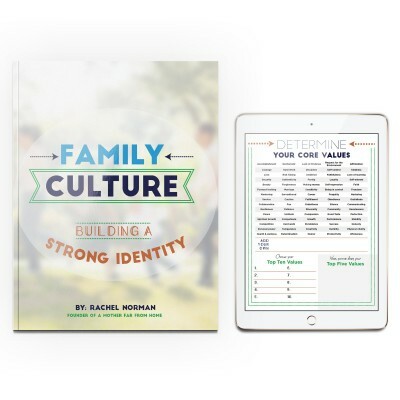 Give your child time to recover in peace without FOMO. Children will want to be active and play for fear of missing out, but giving them space is the best thing you can do for them. As well as for their siblings who may not have caught the bug yet. If you know your child isn’t well but you aren’t sure why, start the BRAT diet. BRAT is basically an acronym for bananas, rice, applesauce, and toast. This is a bland diet that will help the body recover from diarrhea and the foods are “binding.” Also, go off dairy and processed sugars. Richer and more complex foods will just give the stomach more work to break it down, by filling up on liquids and bland foods, you will help settle things internally and give the body’s immune system a chance to fight whatever’s attacking it. Of course, we shouldn’t put off seeing the doctor, but I don’t know how many time I’ve rushed to the doc only to hear it was a virus. If you didn’t already know, I hate viruses. Now, before running to the doctor a half hour after I suspect something, I watch for patterns, comfort the symptoms, and try to boost my kid’s immune systems. Then, if I do end up at the doctor, I have plenty of information to give them :). 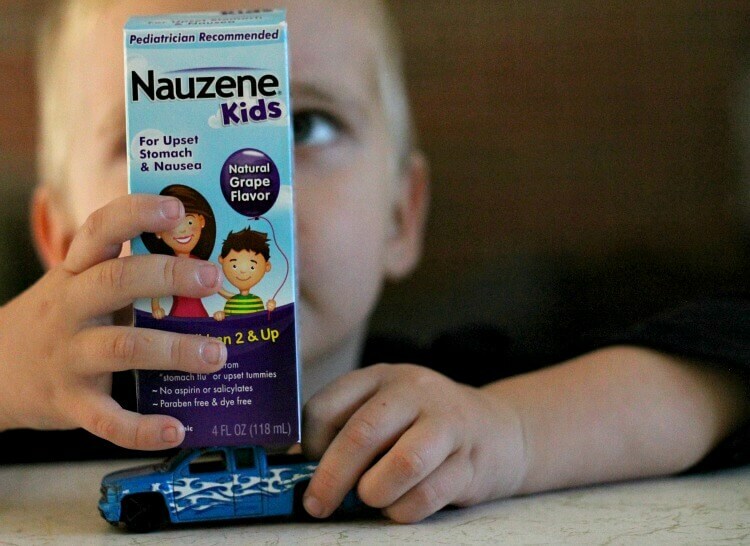 Nauzene® Kids Liquid Nausea Relief is pediatrician recommend and brings quick relief for car sickness, upset tummies, and the “stomach flu.” It has no artificial dyes or colors, is homeopathic, and is free of gluten, parabens, or artificial flavors. Also, parents can use it too! It’s a must pack if you are going on vacation and can be found at many nationside retailers (visit their site NauzeneKids.com to see if it’s available near you) and you can also get a coupon to purchase Nauzene Kids for just $3.00 on their site Nauzene Kids. This has already taken a prominent place in our medicine shelf, and I hope your little ones find relief with it too. *It goes without saying, like with everything in your medicine cabinet, please make sure to read and follow all label instructions before using.